Pentek GS-10RO filters feature coconut shell, granular activated carbon, and are designed to reduce unwanted taste, odor and chlorine taste and odor. 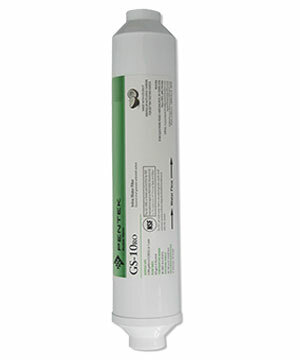 All Traditional In-Line filters include a durable, injection molded polypropylene body and cap, pre- and post-filter. They are pressure rated to 125 psi.